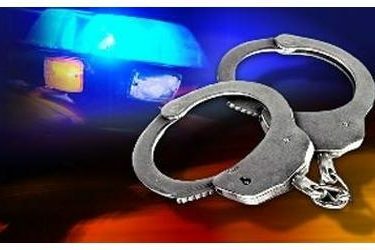 Two Garden City men and one Sublette woman were arrested Sunday on allegations of theft and drug crimes. Cheyenne Martin, 22, 1203 N. 11th St., was arrested on allegations of aggravated assault and possession of methamphetamines, possession of drug paraphernalia and theft. Seth Burnett, 25, 1203 N. 11th St., was arrested on allegations of theft, possession of methamphetamine and possession of drug paraphernalia. Dusty Fief, 27, 1606 N. 10th St., was arrested on allegations of interference with a law enforcement officer, theft and unlawful removal of a theft detection device. At about 10:31 a.m. Sunday, Garden City police went to Menards, 1110 Larue Road, for a reported theft in progress. When police arrived they were told three people went into the business and two of them began removing items from packages and concealing them in their clothing. When employees approached the suspects, they split up in the store and fled on foot. Burnett was apprehended in the store, and Fief and Martin fled to a car parked in the parking lot. Menards employees followed Fief and Martin to the vehicle. Martin drove at a high rate of speed through the parking lot in an attempt to avoid the employees. Martin drove the vehicle to the end of the parking lot and stopped, and Fief fled from the vehicle and the area on foot. Martin then placed the vehicle in reverse, backing up quickly, and the employees had to jump out of the way to avoid being struck by the car. Fief was located at Mooyah Burgers, 2204 E. Kansas Ave. He resisted arrest but was apprehended after a brief struggle. Garden City Police Capt. Randy Ralston said the drug allegations against Martin and Burnett were a result of officers finding drugs in their possession when they were arrested.